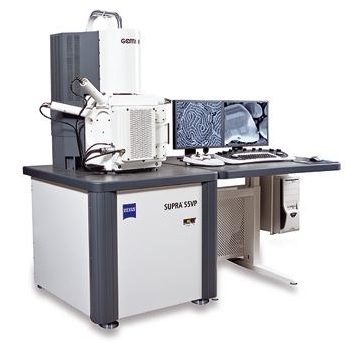 SUPRA 55VP FE-SEM is a general purpose ultra high resolution FE-SEM based on the unique GEMINI Technology. It provided excellent imaging properties combined with analytical capabilities which make this high end FE-SEM suitable for a wide range of applications in materials science, life science and semiconductor technology. The large specimen chamber for the integration of optional detectors and accessories enables the user to configure the SUPRA for specific applications without sacrificing productivity or efficiency. Thin Film, pellet, coating etc. should be 1cm2 area and 5mm to 10 mm thickness in size. Copyright © 2018 CSIR-CECRI. All rights reserved.